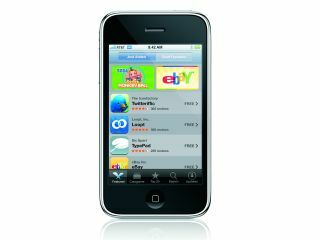 American network operator AT&T is paying a subsidy of around $325 (£160) for the iPhone 3G. According to Oppenheimer analyst Yair Reiner, this represents over 50 per cent subsidy over normal smartphones. The higher rate clearly shows AT&T believes the iPhone 3G is going to be a useful tool in helping it achieve new subscribers, and the company is gambling on such. Over in Britain, there's no word on how much subsidy is being paid for the device, but it is likely to be a similar amount as the iPhone 3G will cost the same in both countries. Reiner also believes Apple is getting $100 for each iPhone sold in its stores, though as we said yesterday, it is unlikely to be issuing contracts in store, at least initially. Essentially, Apple is unlikely to be losing any money compared to the old revenue sharing model of the iPhone 1.0, and as there is now some flexibility in pricing competitors will be pushing to get the cost even lower, thus allowing Apple to shift more handsets.